The Tri-Rivers Museum Tour is Saturday May 4 and Sunday May 5 from 11am - 5 pm both days. The Museums are located along the Flat River, Grand River and Thornapple River, provide support to each other in the Tri-River area. They invite you to come visit! Each Museum has unique qualities and invite you to visit and enjoy a time of remembering and learning. The 13th Annual Charlton Park Day is Saturday May 25, 2019 from 11 a.m. - 3 p.m. Bring the whole family! There will be free hot dogs, chips, drinks. Come on out and tour the buildings, maybe play some old fashioned games by the old school, meet some of the volunteers that will be in the buildings. Free Admission. This day is in honor of Irving Charlton, the founder of Historic Charlton Park. For more information call the Park at 269 - 945 - 3775. 37th Annual Fathers Day Car Show is June 16, 2019 from 8am - 4pm rain or shine. This event is sponsored by the Southern Michigan Street Rod Association. All cars must be 1993 or older & must be driven in under their own power, no trailered vehicles are allowed. Admission is Adults $6.00, Kids 5 - 12 $4.00 and age 4 and under free. There will be over 800 vehicles on display. 37th Annual 4th of July & Veterans Bar-B-Que is July 4, 2019 from 12pm - 4pm, event admission is FREE! Flag raising and Veteran remembrance begin at 12pm before the Bar-B-Que. Games begin at 1:00 pm on the village green. Cost for BBQ is as follows: ages 13+ is $9; ages 5-12 is $6 per person and children under 4 eat free. Everyone is encouraged to bring a home-made pie to be judged by our expert panel. Proceeds from the pie auction go to Charlton Park to help keep this event FREE to the public! The Veterans Association Pork Bar-B-Que Buffet will run from 12:30 pm - 4 pm in the Walnut Grove. The Gas & Steam Engine Show is July 12-14, 2019. 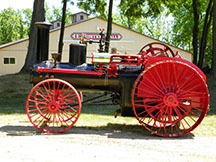 You'll see the history of steam and gas engines, tractor parades, a working sawmill and more. Admission is Adults $6.00, Kids $4.00 ages 5 - 12. 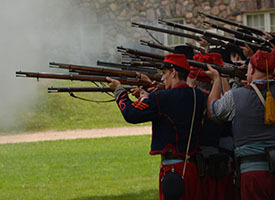 Civil War Muster Civil War Muster July 20-21, 2019 - see history come alive with hundreds of re-enactors depicting Confederate and Union Infantry, Cavalry, and Artillery units. Shop on Sutler Row, play parlor games, see military demonstrations. Admission is Adults $6.00, Kids $4.00 ages 5 - 12 years, 4 and under are free. The schedule of daily events can be found here. Click Here for 2019 Reenactor & Sutler Registration Packet. County Wide Yard Sale is August 3, 2019 from 9am - 3pm for the Sales. Vendor spaces are 15x30 & space fee is $10.00 per space, $15.00 day of sale per space. Free admission to the public. 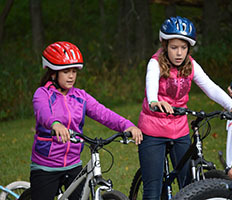 The 6th annual Outdoor Youth Day will be taking place from 10 a.m. to 4 p.m. on September 7. 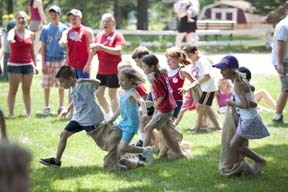 It is a FREE day of fun where kids can get hands-on experience in many different outdoor activities. 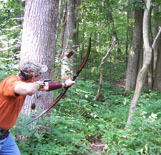 Hiking, Archery, Bird watching, Fishing, Target Shooting, Biking, Trapping, Canoeing and Kayaking, Fly Tying, Working Dog Demonstrations and MUCH MORE! For more information call Barry Conservation District, 269-948-8056, or visit www.barrycd.org. The Fall Harvest Festival is September 27-29, 2019 from 8 a.m. - 5 p.m. each day. 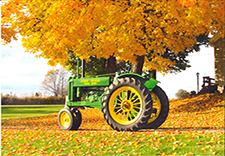 The public is invited to experience first-hand the fall harvest techniques and activities from the early-to-mid 1900s. Admission is Adults $6.00 and Kids $4.00 ages 5 -12. Arts and Eats is a free self-driving tour of Allegan and Barry Counties and the surrounding rural region on October 19 and 20. Partner organizations collaborate to bring you quality experiences in art, local food, and agriculture in those little out-of-the-way places that beg to be discovered. Historic Charlton Park will be a Central Venue host multiple artists for the Barry County Artists Exhibition. People are invited to discover our rural areas, forests, and towns by exploring back roads and out of the way places. Visit with local artisans in their studios, see working farms featuring specialty food crops, fiber, and heritage animals. Should hunger strike, stop in one of the local gems that serve food made with ingredients from area farms and producers. Arts and Eats raises awareness and appreciation of the region's human and natural resources. The tour reminds us about the benefits of buying and consuming locally grown foods and supporting Michigan artists as entrepreneurs. The tour is an opportunity to contribute to a sense of place and to support local economies. To learn more about Arts and Eats, visit their website. All Hallows Evening is October 26, 2019 from 3pm - 6pm. 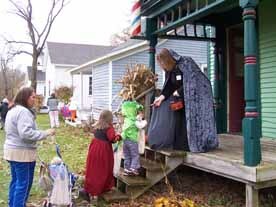 This family oriented event begins with trick - or - treating through the Historic Village. Take a tram ride, enjoy a glass of cider, and find your way through the maze. There will also be a costume contest and awards. Admission is $4.00 per person,12 and under are FREE! 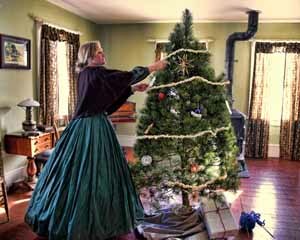 Historic Charlton Park’s turn-of-the-century village is the setting for Of Christmas Past! Come out and enjoy the sights, sounds, tastes and activities of the late 1800’s. 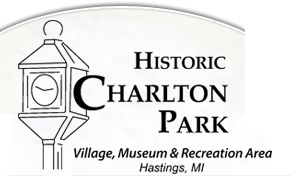 On Saturday and Sunday, December 14-15, 2019, from 11 a.m – 4 p.m., you are invited to tour the village & enjoy Christmas at Historic Charlton Park. Adults and children are welcome to try their hands at traditional crafts and ornaments, including hand-dipped candles. Tour the village and stop at the Carlton Center Church to listen to live music. Everyone is encouraged to sample traditional holiday fare, wassail, and fresh roasted chestnuts. The gift shop will feature an array of holiday toys, games and keepsakes for all ages. St. Nicholas will also be stopping by! Admission to Christmas Past is $6 for adults and $4 for children 4 to 12. There is no additional cost for crafts. Please note - cash or check only at the gate. For more information on the Of Christmas Past celebration, contact Historic Charlton Park at (269) 945-3775. ​Dogs: Dogs are welcome at any time! Please keep them leashed (maximum length 6 ft.) and pick up after them. Dogs are not allowed in the buildings. Before you decide to bring your furry companion, please consult the event schedule - certain events are loud and may cause your pet undue stress.